Users are apparently notified of the changes upon logging in to the network. If you do not agree, you will not be allowed to use the service. A user may opt out of the agreement within the next 30 days by sending a letter to Sony’s Los Angeles office. Make no mistake, this is the latest entry in Konami’s Contra franchise. For real, check the main menu theme and game over theme. Despite it’s anime look (courtesy of developer Arc Systems) and sci-fi setting, this entry contains all the hyperactive shoot-em-up action that you expect from the series. The story is pretty generic, with the typical evil government and you as a former soldier out to stop them, but who plays a Contra game for the story? You (and a buddy if playing co-op) grab your guns, and blast everything that moves, picking up weapon upgrades you find en route. 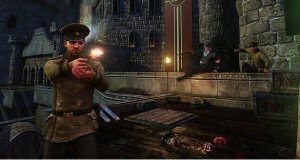 You can play in traditional arcade mode, or an all new ‘Rising’ mode where you can earn new moves and weapon upgrades. Extra characters are available for download. 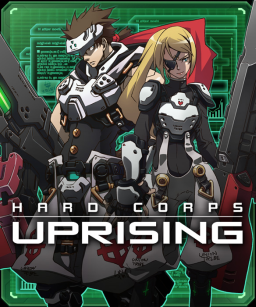 Uprising is part of Konami’s attempt to start a spin-off franchise with Hard Corps (originally released on the Genesis during the 90s), and if future titles are as good as this, Hard Corps will represent a new direction for the Contra franchise just as it did all those years ago. Weather you’re a fan of Contra, or just like old school 2D action, you’ll want to download this title. Playstation Network users continue their vigil as Sony has announced that the current outage of their free on-line service will be indefinite and that only some features of the service will be available in about a week’s time. The outage has been in effect since April 21st. Further, they also announced that the initial cause of the outage was due to a malicious intrusion by outside hackers and that there was a large security breach of personally identifiable information including name, address, email, birthdate, login name and password. They are not certain if credit card information was breached, but suggest that it should be accounted for by detailing numerous credit fraud protective actions. Meanwhile, Sony will keep the service down while they make security enhancements and ‘rebuild [the] system to provide you with greater protection of your personal information.’ As a member of the IT community, I am distressed that they will rebuild a system in a matter of weeks, that took them years to get up and running. 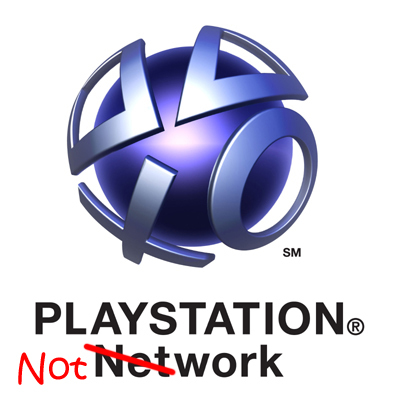 Moreover, during this outage, anyone that uses a service that relies on the PSN user account will seemingly not work. This includes Netflix and any online multiplayer functionality. It seems that Sony is beginning to learn a lot about what is needed to be a services company and not just an electronics company. I have included the full press release after the jump. Please read it carefully, change your passwords and protect your data. This is serious stuff. Massachusetts residents should be aware that there are specific laws that deal with identity theft and that Sony has released a separate consumer alert specifically for those in the Bay State. That can be seen here. Our coverage of PAX East is still trickling in as I take a look at the Independent Shooter-Racer game, DYAD for the Playstation Network. Check our other PAX East 2011 coverage HERE.